Electronic Arts won't be making any Star Wars games based on the new movies, but it does intend to make more Star Wars games. It took awhile for the lesson to sink in but I think by now it's generally accepted that licensed videogames based on movies are a bad idea. Just ask Danny Bilson: He used to be an executive vice-president at THQ, which used to be a videogame publisher that banked heavily on licensed properties and now exists only as a quickly fading and not particularly interesting memory. That's a path that Electronic Arts has no interest in following. "We've done movie games over the years and we wanted to make sure that we weren't doing a [new Star Wars] movie game, i.e., game based on the movie," Chief Financial Officer Blake Jorgensen said at the UBS Global Technology Conference. "The beauty of the Star Wars franchise is that it's so broad and so deep, you don't have to do a movie game, you can do a game that's very focused on the world that's been created around Star Wars." 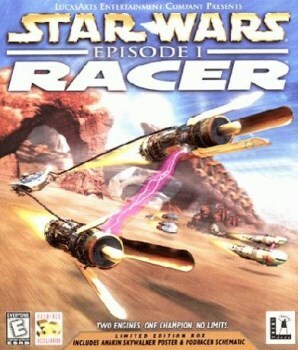 It's an established fact that the secret to making a great Star Wars game is to steer well clear of the movies. X-Wing is probably as close as any truly good Star Wars game has come to the films, while BioWare's Old Republic setting is Star Wars in name only. So while EA intends to take advantage of the powerful Disney marketing machine, it will continue to do its own thing creatively. "We'll try to align those with the marketing power that Disney has so it will get aligned with timing around the movies, but it won't necessarily be aligned with the movie," Jorgensen said. Star Wars: Episode VII, the first Star Wars film to be made under the Disney flag, is expected in 2015.